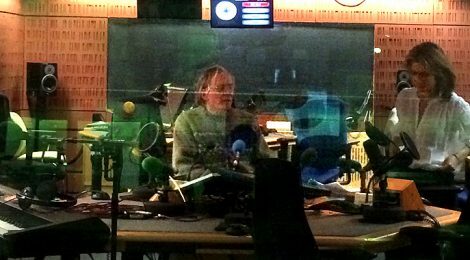 On Monday 1 April I had the interesting and enjoyable experience of being interviewed on the BBC Radio 4 Film Programme (to be broadcast on Thurs 11) about my work as music editor on Stanley Kubrick’s The Shining in the spring of 1980. Despite my suffering from a hip problem (shortly to be replaced), all went well and at the end of the recording both the presenter, Antonia Quirke, and film music expert Neil Brand, clapped. The interview lasted for well over an hour, only about 12 minutes of which got into the broadcast, which went out on Thursday 11th April at 4.00 pm. However, my section of the programme in the podcast version which is available on the BBC Radio 4 website, is over twice as long. The ‘Secrets of The Shining’ section runs from 13:19 to 39:36. 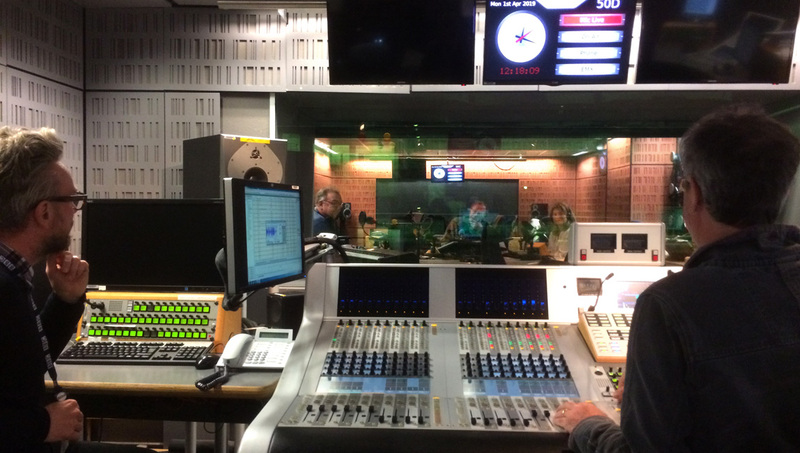 Or: you may download the podcast directly from the BBC Radio 4 website. 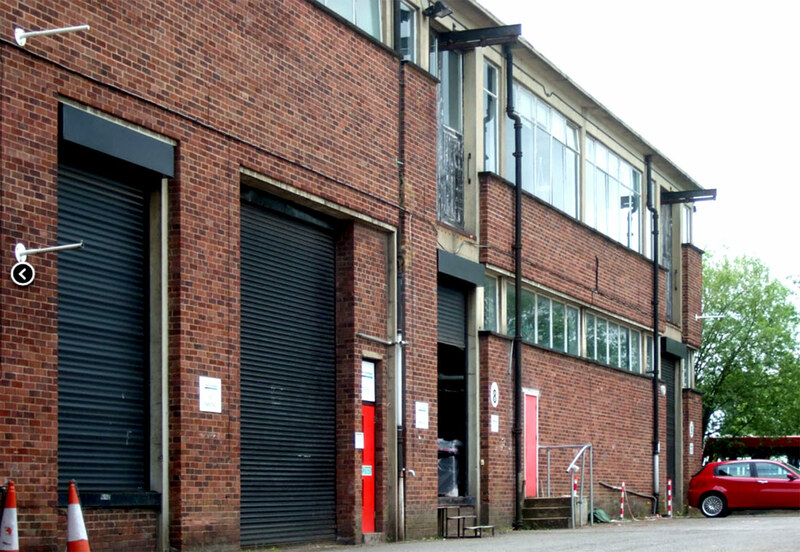 The nondescript and secretive building at Elstree Studios where Stanley had his cutting rooms, and where I laid the music tracks. Entry was by the bright red door. It either had no notice on it, or simply said ‘Hawk Films’. Vivian’s cutting room where we edited her documentary ‘Making the Shining’ was behind the big windows top right. (The Overlook Hotel’s kitchen set was created here before it was turned into a cutting room.) Stanley’s cutting room was in a corresponding position at the rear of the building. All the sound editors (apart from me, music), a team of six, were in a completely different cutting-room block. 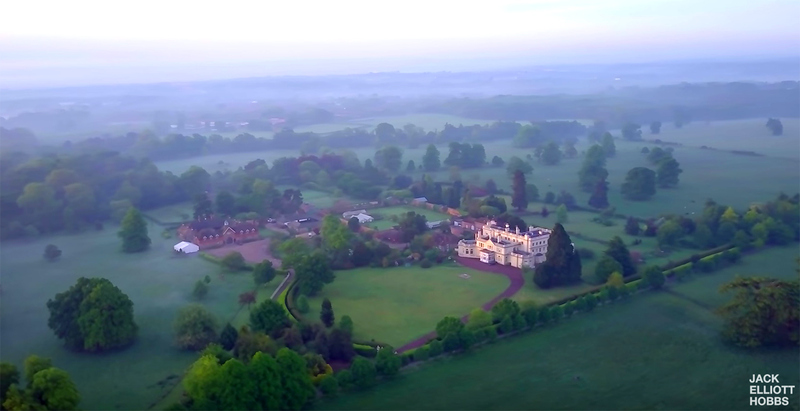 The wonderful dubbing theatre, then state-of-the-art in the UK, was behind and right of the trees in the background here, now sadly under a Tesco carpark. 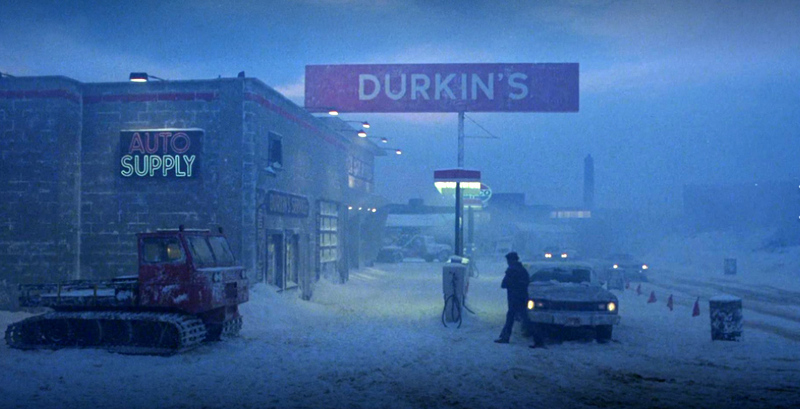 Durkin’s Garage in The Shining, on the back lot at Elstree Studios. Stanley’s cutting room was the line of lighted windows in the far distance, right of centre. All the ‘snow’ here was created with salt. There can be few movies in the whole of history that have managed to create such a convincing world – snowy Colorado, including the hotel – in such a confined and unlikely studio space. Anyone who thinks I’m exaggerating, please go to what is now the Tesco’s supermarket in Borehamwood. You will probably be parking your car on the site of the Overlook Hotel’s Colorado Lounge.